Our Florist Choice Bouquet is our easiest, yet most impeccable choice yet! Our expert florists will choose a sympathy arrangement that fits your needs - all for an affordable price! 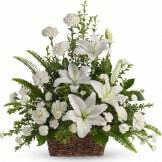 Show your loved ones that they are in your thoughts with our Florist Choice Bouquet. This is truly a one-of-a-kind arrangement that is hand-picked by our floral experts specifically for your occasion, and created using the freshest blooms available. 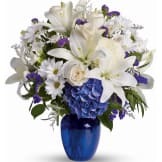 Whether you are looking to purchase a sympathy arrangement for a funeral service, a home display, or an office display, our experts will choose a stunning assortment of the flowers that will be sure to spread comfort, love and strength to all. Plus, because we have various sizes available for every occasion, this will truly be a one-of-a-kind gift that will satisfy every budget. 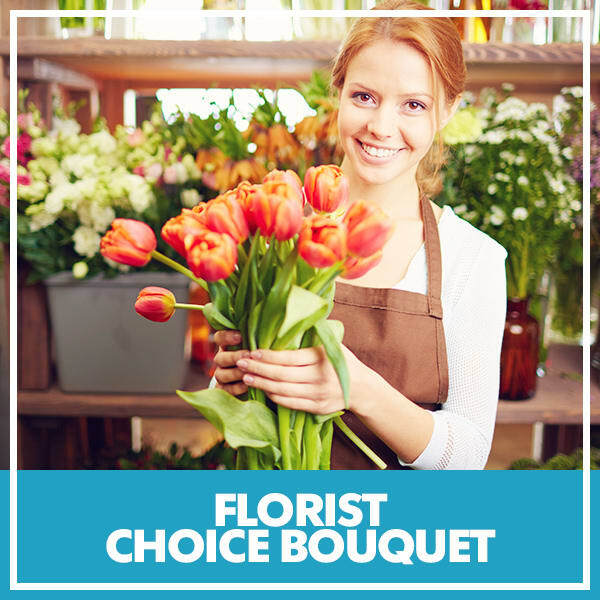 When purchasing our Florist Choice Bouquet, you can be sure that the arrangement will be hand designed and delivered by a local florist who is experienced in putting together stunning, elegant sympathy arrangements for every situation. Plus, because you choose your price yourself, the bouquet you choose will always come in right on budget, without lacking in quality, grace or excellence. 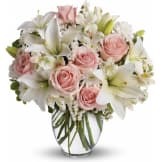 In fact, with a Florist Choice Bouquet, you will be getting the most elegant bouquet for the best price — a truly one-of-a-kind seasonal bouquet that will make a loving, grand statement to those who need it most. Let our expert florists dazzle you with their own signature style and creativity. Send a Florist Choice Bouquet today! Flowers will be received by a William A. Moore Funeral Home's staff. Did not deliver the flowers I asked for. I was very pleased with the bouquet. It was beautiful and I was glad that I selected florist choice. Beautiful bouquet - more than expected, on time, very nice design with the flowers. I was very pleased when I saw the flowers at my brother-in-law's funeral. They were fresh, nicely arranged, and the colors were exactly what I would have chosen - so glad I got the "Florist Choice"! Great service and communication. Would definitely use again. I never saw it but the family said it was nice. I did not get to see the flowers, but one of the deacons at the church did see the arrangement. He said it was very pretty. The flowers were beautiful & delivered quickly! The online process was super easy to order & I liked that I could pay through PayPal. Very pleased with the Arrangement made for us. We appreciated not having to choose and it complimented but was not the same as other arrangements there. Thank you so much. As promised. Very easy in a time that is hard. I ordered the "Florist Choice Bouquet". I was a little concerned because I did order the cheapest of the three "Florist Choice Bouquets. It was just beautiful. I am very satisfied and would recommend this to anyone. Wish I could up load the photo. They were lovely. No clue what it looked like but family said it was nice. The flowers were beautiful - the florist did a wonderful job. The premium florist choice flowers were beautiful, and there were many nice compliments on the arrangement. Unfortunately, the flowers were starting to wilt by the second day which was a little disappointing. The bouquet was stunning when delivered, though. Delivered very timely and as advertised! I was unable to get out to my local florist. After reviewing the online obituary for my friend's grandmother's funeral, there was a link for your service. I went to it, decided it was what I could use and before I knew it, I had placed the order and was done. Very, very user friendly! It took a few minutes to place the order. You could speak to a live customer service rep if needed. Will definitely use again and recommend it to friends. Thank you for your service! I was a little concerned not knowing what i was getting. I was really happy with what I got and so was the recipient. I would definitely order again! I was reluctant to use Florist Choice since I couldn't see what the arrangement would look like nor did I know what flowers would be used but arrangement was tastefully done and flowers were beautiful. I will definitely use this option again if still available. Very nice bouquet of flowers that she really enjoyed receiving! Thank you! Easy ordering! Simply beautiful, loved the selection! The Florist Choice bouquet was delivered in a very timely manner, was in perfect condition, and was just beautiful. I was very impressed by the amount of flowers presented as well as the varied colors and freshness. I would not hesitate to order this deal again. 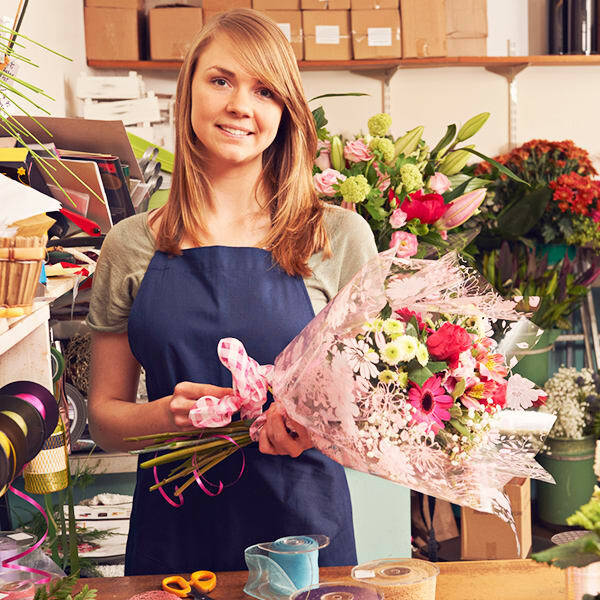 All of our flowers are designed and delivered by hand from a local florist in in Conshohocken.